In honour of the Officers, NCOs and men of ‘A’ Company 35 Infantry Battalion United Nations Force in Congo (ONUC) who had the misfortune to suffer so much at Jadotville in the province of Katanga in September 1961. 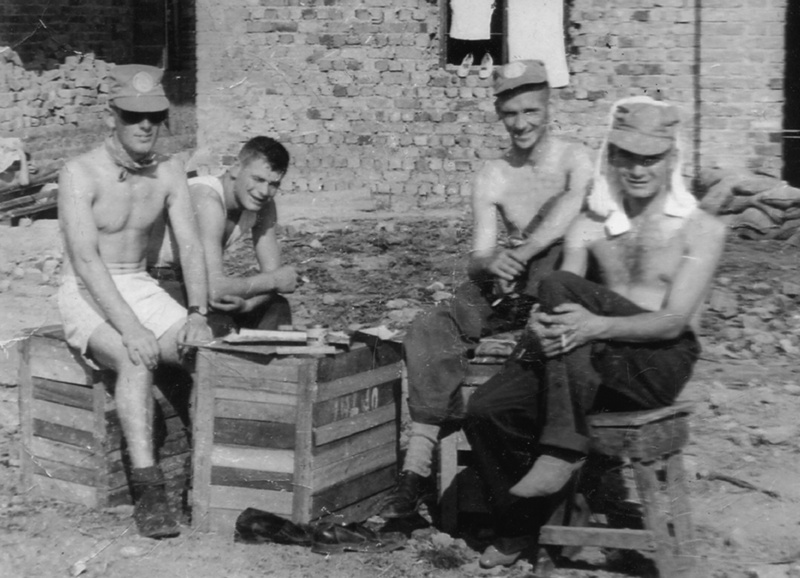 ‘A’ Company took responsibility for the UN Post at Jadotville on the 3rd of September. On the 9th of September a large force of Katangese Gendarmerie surrounded them and early on the morning of the 13th September the Company came under attack. 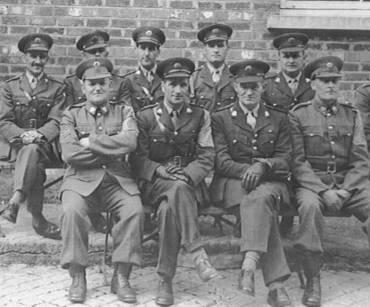 Over the coming days until the 17th September they endured almost continuous attacks from ground and air. Despite determined leadership courageous resistance and the sustained efforts of 35th Infantry Battalion HQ to provide assistance, ‘A’ Company was taken into captivity on the 17th September. 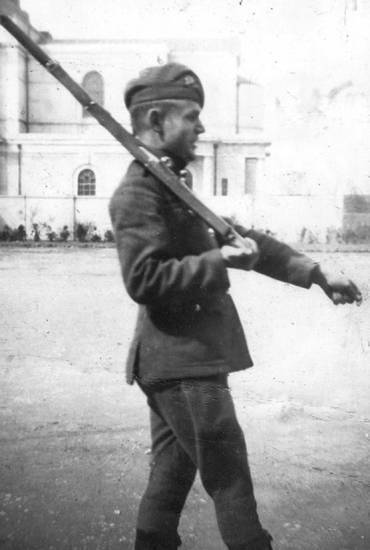 By this time ‘A’ Company had no water or food and several men had been wounded. ‘A’ Company remained in captivity until finally released on 25th October 1961. Their sacrifices in the service of peace are remembered with pride. Chief of Staff, Lord Mayor, Veterans of Jadotville, Distinguished Guests, Ladies and Gentlemen you are all very welcome to Custume Barracks this afternoon. We are gathered here to remember and commemorate the courage, the resolve and the determination shown by members of our Defence Forces during a highly dangerous situation while on UN Peacekeeping Duty in the Congo, 44 years ago. It is no exaggeration to say that virtually every Irish citizen is aware of the sterling work performed by our Defence Forces on UN Peacekeeping missions during the past 46 years. And I suppose that the vast majority of Irish adults would have heard of the Niemba Ambush when, for the first time, the lives of Irish soldiers were lost in battle, during a peacekeeping mission. Until very recently, the story of Jadotville and the heroism displayed there by the soldiers of ‘A’ Company seems to have been largely forgotten. But the members of A Company never forgot, nor did their family and friends. They have always hoped that some day, their stories would be heard by a wider audience. 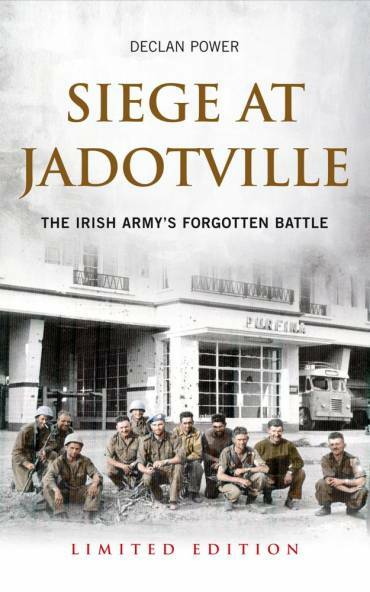 Last year, RTE broadcast an award-winning Radio Documentary “The Siege Of Jadotville” which included interviews with Jadotville Veterans. Earlier this year, Declan Power’s fine book of the same title was published. I was particularly proud to have been able to launch that book and meet with many of people who I see here today. In recent weeks, a second book “The Irish Army in the Congo” has been published. This includes the reminisces of many Irish Defence personnel who served with the UN Mission in the Congo and throws further light on this absorbing event in the annals of our Defence Forces. It is fair to say that the events in Jadotville raise very deep emotions among all those involved in the events there. While there was no formal criticism, there has been the appearance of adverse comment in some quarters. The lack of formal recognition of the events at Jadotville served in some ways to reinforce this sense of grievance and criticism. Last year, the Chief of Staff was approached by a retired Officer – who had served in Jadotville. This officer asked for a review the events of September 1961. The Chief immediately set up a Board of Officers to examine the records and make recommendations for further action that might be open to him. The report, which I received late last year, fully exonerated the actions of A Company and stated that A Company and its Commanding Officer had acted appropriately. It recommended that the events at Jadotville and the contribution of those involved be given appropriate recognition. Having studied the report, I decided to adopt the Board’s recommendation. Knowing the sensitivities involved, I directed that extensive consultations should take place with a view to agreeing on the most appropriate form of commemoration for those involved in the events in Jadotville. The outcome of these consultations is today’s ceremony and the erecting of this commemorative plaque to commemorate the events at Jadotville and the very significant contribution of A Company and of the 35th Battalion, as a whole, to the UN Peace Support Mission in the Congo. I have also decided that portraits of Lt Col McNamee (35th Battalion Commander) and Comdt. Quinlan (Company Commander “A” Company) should be commissioned. When completed, these portraits will hang in the Congo Room in the United Nations Training School in the Curragh. Jadotville is a story of ordinary soldiers doing extraordinary things. It is a true story of real people, many just out of their teens, who found themselves thousands of miles away from home in an unfamiliar and highly dangerous situation, yet had the determination, the belief and the leadership to come safely through their ordeal. This memorial commemorates their story – their courage and forbearance, their suffering and their heroism. It will serve as a lasting reminder of their remarkable achievement. Through their courage and determination they have left a proud and enduring legacy to the Irish Defence Forces.